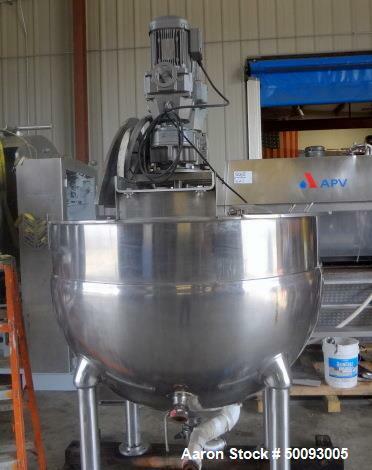 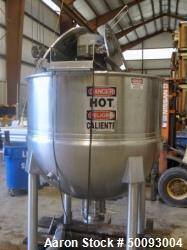 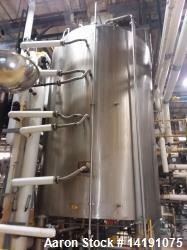 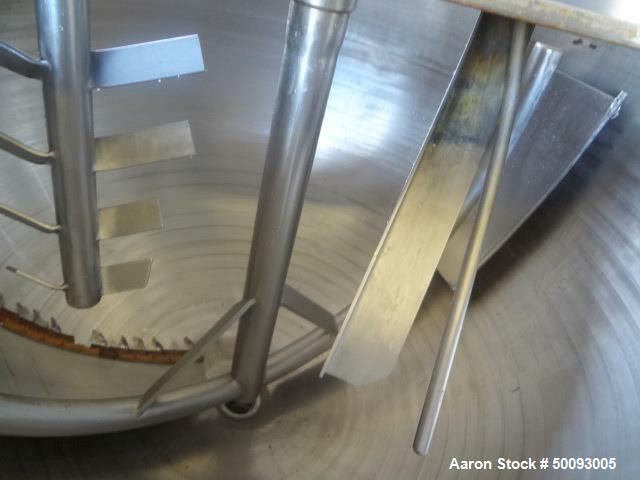 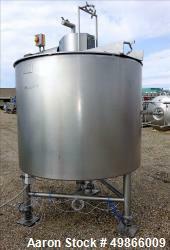 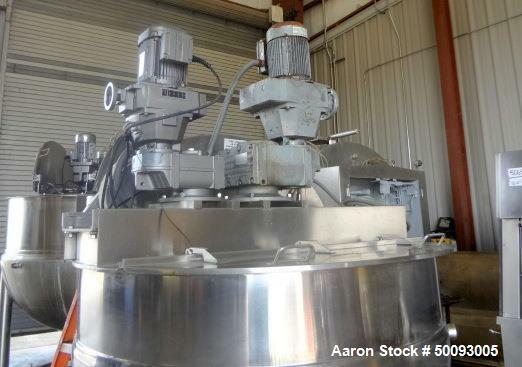 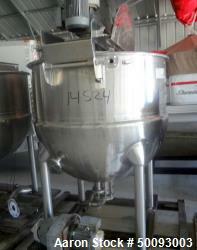 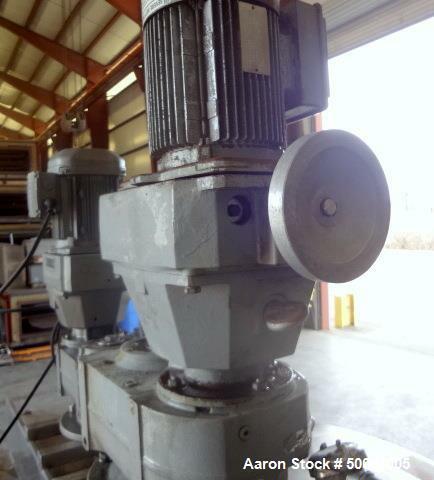 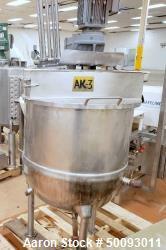 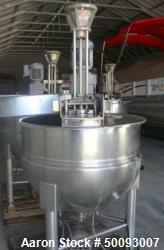 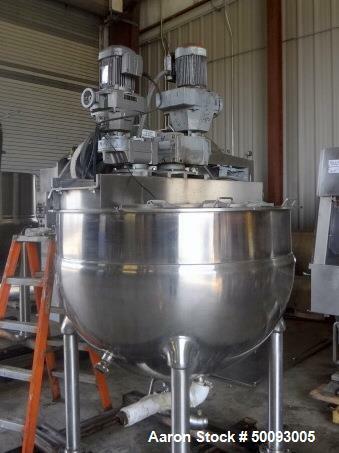 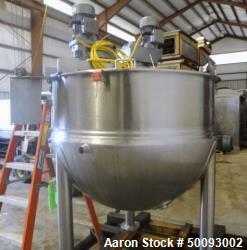 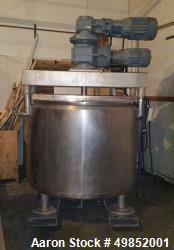 Used- Groen Twin Agitated Kettle, Model 250 SA, 250 Gallon, Stainless Steel, Vertical. 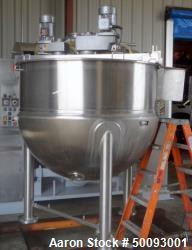 Approximate 40" diameter x 56" deep, hemispherical bottom. 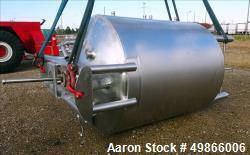 3/4 Bottom jacket rated 50 psi at -20 to 100 degrees F. Top entering anchor style agitator with scrap, driven by a 5HP, 3/60/230/460 volt, 1680 rpm, 13.6/6.8 ratio. 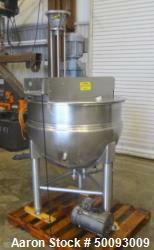 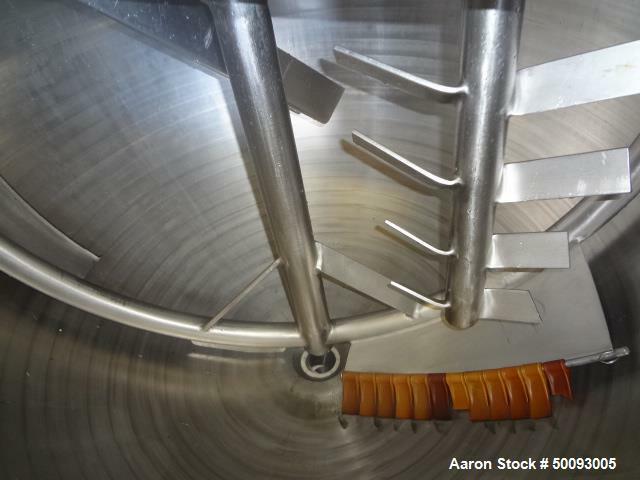 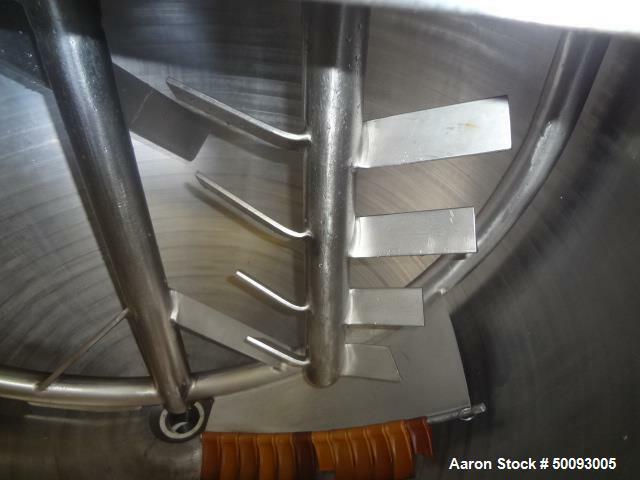 Top entering offset 4-blade paddle stirrer, driven by a 2HP, 3/60/460 volt, 1740 rpm motor. 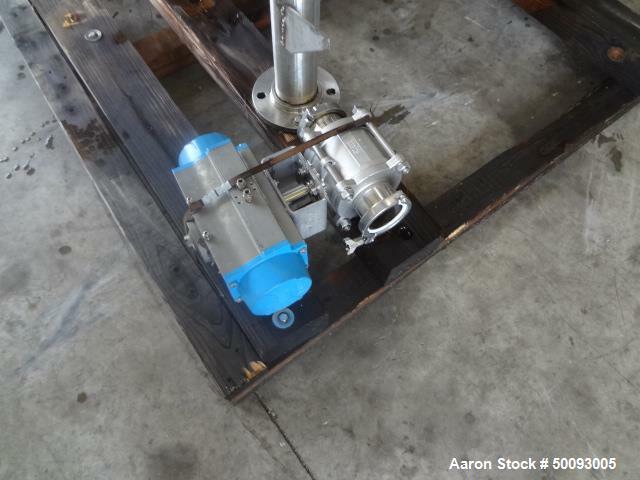 Approximate 2-1/2" center bottom outlet with air actuated valve. 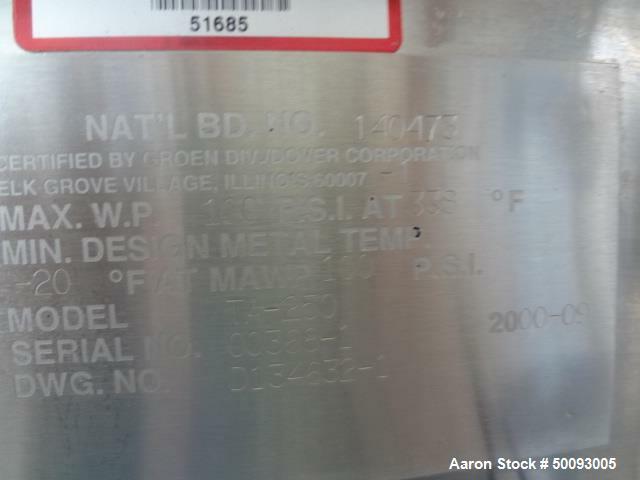 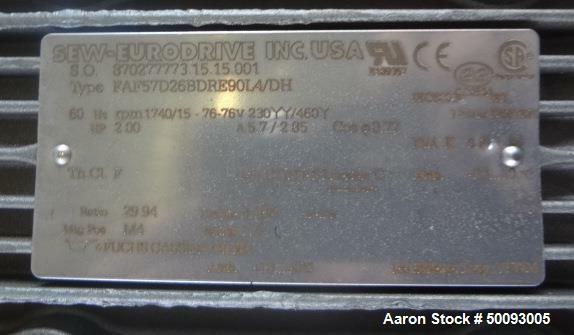 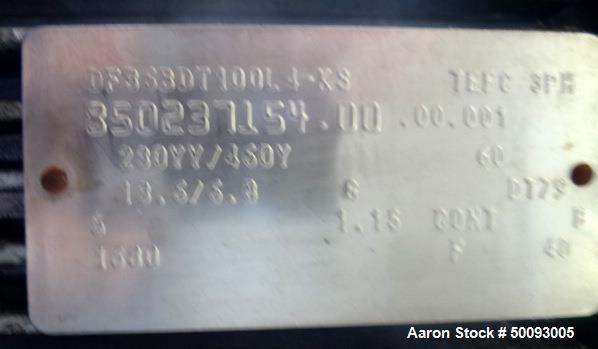 National Board# 140473, Serial# 00368-1, Built 2000.